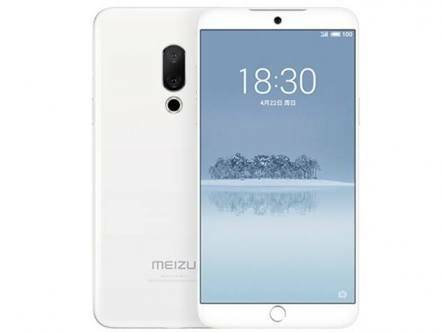 Meizu 15 has been launched in China by the Chinese company as a bezel-less device with physical home button. More like an iPhone 8 front and a Galaxy S9 Plus back, even though its Super AMOLED screen was made by Samsung. The “midrange smartphone” offers great value for money compared to most flagships. It boasts of 4GB of RAM, 128GB storage space, dual rear camera, 20MP selfie camera with Face ID and retails like a midrange. What is Meizu 15 Price and Availability Status? Definitely not the most unique design on a smartphone, but it is better than most. Sports an overall Metal unibody that’s quite attractive to hold and flaunt. The dual rear cameras were practically adopted from the Galaxy S9 Plus in terms of placement. Below the dual shooters is the LED flash, while the fingerprint scanner was moved to the front. Turning over to the sides, it measures 7.25mm in thickness and weighs just 152g, making it easy to operate with a single hand. It’s available in Gold, Black, White and Blue colors. What notch? Meizu blatantly ditched the trending notch display and went with the usual bezel-less display with top and bottom bezel. Furthermore, there’s a physical home button at the bottom bezel which doubles as a fingerprint scanner. While the selfie camera is visible at the top as well, with no narrow bezel in sight. The 5.46-inch FHD Super AMOLED capacitive touchscreen from Samsung boasts of 1920 x 1080 pixels in resolution. With 403 pixel per inch density, details on the screen should come out great and nice. The screen also stretched up to 80% screen to body ratio. Houses the Snapdragon 660 from Qualcomm with Octa-core processor and 64-bit CPU architecture. The 8-cores of processor here could only reach a speed of 2.2GHz with 14nm process technology. Handling graphics is the Qualcomm Adreno 512 graphics processor. The 4GB RAM space here is not your average 4GB RAM, it reaches an impressive memory speed of 1.866GHz. In terms of storage space, there are two versions, one with 128GB and a cheaper variant with 64GB, they are both upgradeable up to 256GB. 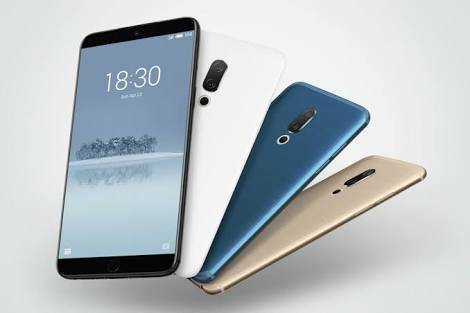 It runs on Android 7.1.2 Nougat operating system with FlyMe UI 7.0. The 12MP + 20MP rear camera has f/1.8 and f/2.0 aperture respectively for some cute and natural photographs. The 12MP shooter is a Sony IMX380 Exmor RS with 1/2.3″ Sensor Size, 1.55um Pixel Size and 6P Lens. While the 20MP shooter is a Sony IMX350 Exmor RS with 1/2.8″ Sensor Size, 1.0 um Pixel Size. Both camera is supported by a LED Ring Flash and other features. The 20MP selfie camera has f/2.0 aperture as well, with facial identification technology and exposure compensation. Don’t Miss: Xiaomi Mi Mix 2S VS Huawei P20: Which is China Best Flagship? Powering the Meizu 15 is a 3000mAh non-removable Li-Ion battery with fast charging technology. With the fast charging feature, it shouldn’t take up to 1.6 hours to fully charge up the battery from 0% to 100%. The Meizu 15 is available on Shopping stores from $249 (N80,000) to $299 (N100,000). Click on the links above to view the latest Meizu 15 price & availability on Shopping stores.